Thanks for the pictures. My Superior has a hand load front casting would like to find a jackpot for it . A key opens a nickel size slot just above the jackpot window. Another variation. Hi!! very nice Superior!! the first of that one ive seen too with venders!! since the mech is the same can you please take some hi res photos of your mech all sides so i can fix mine? they would be great help. Caille slots have always been very interesting to me, I have four Superiors and none are exactly the same, they all have some different components, it make it challenging to restore when you need parts, I am not sure if it would help you in your project but i'll post pictures of my mech's when I get a chance to pull them out of the cabinets. I do like the slots that you, TJ and Bill posted, the more un usual slots is just what I like to collect, keep us posted with your restoration. here are some parts that i dont know where to fit in the superior bell. I spent some time with the mech and i got it cycling again!! thats good because i was not certain if it had enough parts to work properly. with or without parts, it is a surviver, and its worth to bring it to life again. Here is the jackpot casting in detail, its very beautifull and perfect fit!! in my opinion too good to be made by european adaptation or revamp, but still i guess we will never know. the metal is exactly the same or very similar to the rest of the castings. 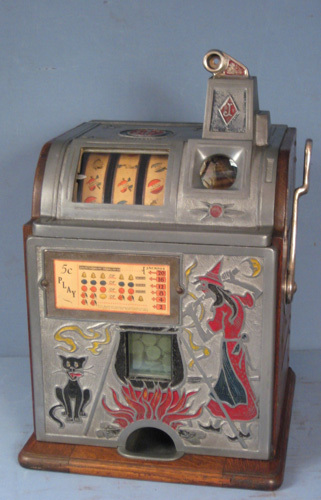 The jackpot mech still is a mistery for me, it has some kind of reel that rotates probably to divert the coins from the jackpot to the cashbox. The reel has a gear like the clock gear to avoid it turning back. I figured out how the jackpot fires and it will. when played, the machine only starts when the handle is released. Is this supposed to be like this? what i mean is the reel only start to spin when you release the handle after pulling it down. Also, the reels start to spin UP (seen through the window position) and not down... or do i have the kicker mounted the wrong way? If you take your time in the restoration it will be in the "very few exist" machine category. I wish my fingers could get that clean. Slot machine grease is one of the worst to remove. I think the comment about the casting of these parts being too good to be made in Europe is a little unnecessary, When I was converting machine in the U.K in the 1950's, I had the payout slides and top cover made in the Rolls Royce plant in Derby, they were made of bronze, to this day Rolls Royce is still the leading car in the World, also the German Mercedes and BMW are still the leading luxury cars of today. Most of the castings used in Bally machines are made in the Bally/Wulf factory in Germany. In the next 60 years Collectors of slot machines all over the World will be collecting machines built by the companies that are owned by either the Gauselmann Group or the Novamatic Group. Both German Companies, by the way Paul Gauselman as the largest collection of coin operated in the world, they are on display in The Gauselmann Museum in Germany. Back in the 1920's Tara (A German company) built both the Mills machines and the Jennings machines under license, and if you look at the Service Games (Sega) parts catalog of 1958 it tells the operator of Mills Bell-O-Matic how to modify their Mills machines to stop them being cheated, by the way at that time Service Games (Nevada) Inc. was the exclusive distributor for Nevada, they also at that time built all of the parts for Mills machines in Japan. 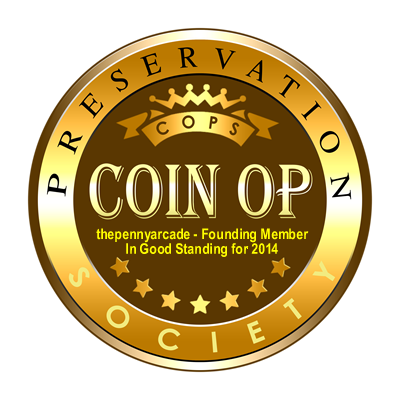 The Official British Coin Machine Industry-"Serving The Coin Machine Industry Since 1958"
Hi!! You should read "too good to be a revamp" im sorry if i hurt your feelings bout European revamps. Im European too remember? Lots of good stuff and quality stuff is made in Europe but my experience with American slotsthat are modified in Europe show me that what they did was poor quality changes. Removing lots of parts not required to operation, changing escalators and coin entries with poor materials, replacing castings with low detail and often uglier and flat ones.... Sorry mate its my experience over 40 machines i put my hands on and restored by myself. Most early machines that came to this side were machines already abused and used a lot in the US. Machines that were obsolete or that didnt made much money anymore. As far as your other post about the reels spinning backwards and not till you release the handle, I was looking at your pictures, the kicker is mounted correctly to the "A" frame and cant be mounted backwards, possible that a spring in on the wrong place, I was also noticing the lack of an escalator and what looks to be a chute to divert the coins it to the payout tube, trying to locate all the correct parts for a Caille mech is a challenge, for your very unique slot it will take quite a bit, fabrication and adapting parts to work for your application may be necessary.